Geoff Bennett Geoff Bennett is a White House reporter for NPR. He previously covered Capitol Hill and national politics for NY1 News in New York City and more than a dozen other Time Warner-owned cable news stations across the country. Geoff Bennett is a White House reporter for NPR. He previously covered Capitol Hill and national politics for NY1 News in New York City and more than a dozen other Time Warner-owned cable news stations across the country. Prior to that role, he was an editor with NPR's Weekend Edition. Geoff regularly guest hosts C-SPAN's Washington Journal — a live, three-hour news and public affairs program. 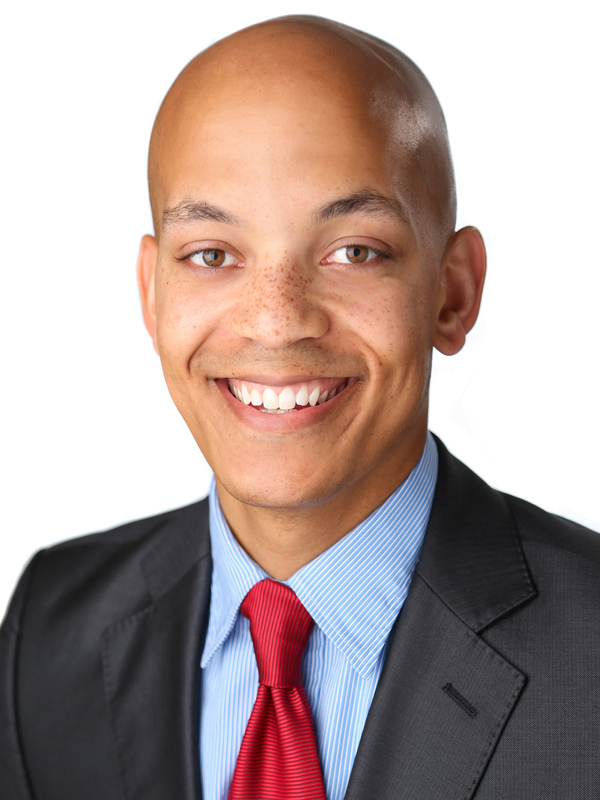 He began his journalism career at ABC News in New York after graduating from Morehouse College. What Happened To The Move To Ban Bump Stocks? October 26, 2017  After the Las Vegas massacre, lawmakers launched an effort to regulate bump stocks, devices which allow semi-automatic weapons to shoot like machine guns. Now, that effort appears to have stalled. October 18, 2017  President Trump said he supports a bipartisan effort that would effectively shore up the Affordable Care Act. But he's also distanced himself from it. What's behind the complicated politics at play? October 17, 2017  When President Trump claimed that past presidents did not call family members of fallen U.S. service members, it caused a backlash. On Tuesday he addressed the issue again, defending his false claim. October 16, 2017  President Trump held an impromptu news conference with Senate Majority Leader Mitch McConnell, R-Ky., at his side on Monday. The two tried to lay to rest reports of discord between them. October 9, 2017  The White House says it wants border wall funding, a tightening of legal immigration, and more as part of any deal to allow DACA immigrants to stay in the U.S. Democratic leaders say no deal. 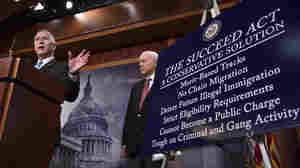 October 1, 2017  Lawmakers from both parties have put forth proposals to address border security and the status of so-called DREAMers. 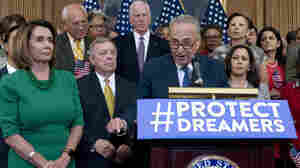 September 29, 2017  Democrats this week introduced a rare procedural move to force a vote on the Dream Act, while Republicans rolled out a conservative-friendly option aimed at resolving the legal status of Dreamers. 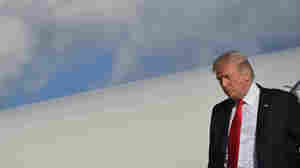 September 26, 2017  President Trump is backing Senator Luther Strange in his bid to retain his seat against rival Republican Roy Moore in Alabama's special primary election being held Tuesday. September 16, 2017  This week, the president will make his debut at an institution he has often criticized for inaction. National security adviser H.R. McMaster says Trump will be pushing for change. September 15, 2017  President Trump will make his debut next week at an annual gathering of world leaders at the United Nations. It's an international organization he's heavily criticized in the past. September 14, 2017  Trump met with Democratic leaders Nancy Pelosi and Chuck Schumer — discussing trade, DACA and border security. Trump tweeted that no deal was made with them on DACA — contradicting their statement. 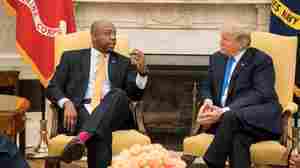 September 13, 2017  The South Carolina senator, the only black Republican in the Senate, met with President Trump on Wednesday. The White House called the meeting "very productive." September 10, 2017  House Minority Leader Nancy Pelosi said she had asked Trump to tweet some assurance to the DREAMers protected by DACA and the president did just that — posting a message to his 38 million followers. September 8, 2017  After a surprise budget deal, members of the Democratic Party see an opening with Trump to pass their long-sought DREAM Act to help young undocumented immigrants.